Representatives from several countries made presentations. For example, the U.S. presentation by NRC’s Valerie Barnes and INPO’s Ken Koves discussed work to define safety culture (SC) traits and correlate them to INPO principles and ROP findings (we previously reviewed this effort here). Most other presentations also covered familiar territory. However, we were very impressed by Prof. Richard Taylor’s keynote address. He is from the University of Bristol and has studied organizational and cultural factors in disasters and near-misses in both nuclear and non-nuclear contexts. His list of common contributors includes issues with leadership, attitudes, environmental factors, competence, risk assessment, oversight, organizational learning and regulation. He expounded on each factor with examples and additional detail. We found his conclusion most encouraging: “Given the common precursors, we need to deepen our understanding of the complexity and interconnectedness of the socio-political systems at the root of organisational accidents.” He suggests using system dynamics modeling to study archetypes including “maintaining visible convincing leadership commitment in the presence of commercial pressures.” This is totally congruent with the approach we have been advocating for examining the effects of competing business and safety pressures on management. Unfortunately, this was the intellectual high point of the proceedings. Topics that we believe are important to assessing and understanding SC got short shrift thereafter. In particular, goal conflict, CAP and management compensation were not mentioned by any of the other presenters. Decision-making was mentioned by a few presenters but there was no substantive discussion of this topic (the U.K. presenter had a motherhood statement that “Decisions at all levels that affect safety should be rational, objective, transparent and prudent”; the Barnes/Kove presentation appeared to focus on operational decision making). A bright spot was in the meeting summary where better insight into licensees’ decision making process was mentioned as desirable and necessary by regulators. And one suggestion for future research was “decision making in the face of competing goals.” Perhaps there is hope after all. * Proceedings of an NEA/IAEA Workshop, Chester, U.K. 26-28 Sept 2011, “Oversight and Influencing of Licensee Leadership and Management for Safety, Including Safety Culture – Regulatory Approaches and Methods,” NEA/CSNI/R(2012)13 (June 2012). As we introduced in our prior post on this subject (Results 1), we are presenting some safety culture simulation results based on a highly simplified model. In that post we illustrated how management might react to business pressure caused by a reduction in authorized budget dollars. The actions of management result in shifting of resources from safety to business and lead to changes in the state of safety culture. In this post we continue with the same model and some other interesting scenarios. In each of the following charts three outputs are plotted: safety culture in red, management action level in blue and business pressure in dark green. The situation is an organization with a somewhat lower initial safety culture and confronted with a somewhat smaller budget reduction than the example in Results 1. Figure 1 shows an overly reactive management. The blue line shows management’s actions in response to the changes in business pressure (green) associated with the budget change. 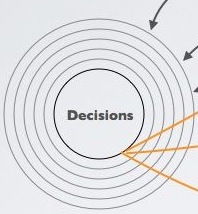 Note that management’s actions are reactive, shifting priorities immediately and directly in response. The behavior leads to a cyclic outcome where management actions temporarily alleviate business pressure, but when actions are relaxed, pressure rises again, followed by another cycle of management response. This could be a situation where management is not addressing the source of the problem, shifting priorities back and forth between business and safety. Also of interest is that the magnitude of the cycle is actually increasing with time indicating that the system is essentially unstable and unsustainable. Safety culture (red) declines throughout the time frame. Figure 2 shows the identical conditions but where management implements a more restrained approach, delaying its response to changes in business. The overall system response is still cyclic, but now the magnitude of the cycles is decreasing and converging on a stable outcome. Figure 3 is for the same conditions, but the management response is restrained further. Management takes more time to assess the situation and respond to business pressure conditions. This approach starts to filter out the cyclic type of response seen in the first two examples and will eventually result in a lower business gap. Perhaps the most important takeaway from these three simulations is that the total changes in safety culture are not significantly different. A certain price is being paid for shifting priorities away from safety, however the ability to reduce and maintain lower business pressure is much better with the last management strategy. The last example in this set is shown in Figure 4. This is a situation where business pressure is gradually ramped up due to a series of small step reductions in budget levels. Within the simulation we have also set a limit on extent of management actions. Initially management takes no action to shift priorities - business pressure is within a value that safety culture can resist. Consequently safety culture remains stable. After the third “bump” in business pressure, the threshold resistance of safety culture is broken and management starts to modestly shift priorities. Even though business pressure continues to ramp up, management response is capped and does not “chase” closing the business gap. As a result safety culture suffers only a modest reduction before stabilizing. This scenario may be more typical of an organization with a fairly strong safety culture - under sufficient pressure it will make modest tradeoffs in priorities but will resist a significant compromise in safety. “Cognitive dissonance” is the tension that arises from holding two conflicting thoughts in one’s mind at the same time. Here’s a candidate example, a single brief document that presents two different perspectives on safety culture issues at Palisades. Seems like management has matters in hand. But let’s look at some of the issues identified in the CEI assessment. The assessment also identifies issues related to Safety Conscious Work Environment and accountability throughout the organization. So management is implying things are under control but the assessment identified serious issues. 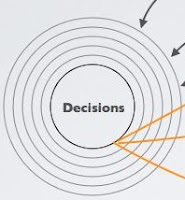 As our Bob Cudlin has been explaining in his series of posts on decision making, pressures associated with goal conflict permeate an entire organization and the problems that arise cannot be fixed overnight. In addition, there’s no reason for a plant to have an ineffective CAP but if the CAP isn’t working, that’s not going to be quickly fixed either. * Letter, A.J. Vitale to NRC, “Reply to Request for Information” (July 9,2012) ADAMS ML12193A111. As promised in our June 29, 2012 post, we are taking the next step to incorporate our mental models of safety culture and decision making in a simple simulation program. The performance dynamic we described viewed safety culture as a “level”, and the level of safety culture determines its ability to resist pressure associated with competing business priorities. If business performance is not meeting goals, pressure on management is created which can be offset by sufficiently strong safety culture. However if business pressure exceeds the threshold for a given safety culture level, management decision making can be affected, resulting in a shift of resources from safety to business needs. This may relieve some business pressure but create a safety gap that can degrade safety culture, making it potentially even more vulnerable to business pressure. Let’s see this in action in the following highly simplified model. The model considers just two competing priorities: safety and business. When performance in these categories differs from goals, pressure is created on management and may result in actions to ameliorate the pressure. In this model management action is limited to shifting resources from one priority to the other. Safety culture, per our June 29, 2012 post, is an organization’s ability to resist and then respond to competing priorities. At time zero, a reduction in authorized budget is imposed resulting in a gap (current spending versus authorized spending) and creating business pressure on management to respond. Figure 1 shows the response of management. Actions are initiated very quickly and start to reduce safety resources to relieve budget pressure. The plot tracks the initial response, a plateauing to allow effectiveness to be gauged, followed by escalation of action to further reduce the budget gap. pressure associated with the gap. Immediately following the budget reduction, business pressure rapidly increases and quickly reaches a level sufficient to cause management to start to shift priorities. The first set of management actions brings some pressure relief, the second set of actions further reduces pressure. As expected there is some time lag in the response of business pressure to the actions of management. accumulated in the safety culture. Note first the gradual changes that occur in culture versus the faster and sharper changes in management actions and business pressure. As management takes action there is a loss of safety priority and safety culture slowly degrades. When further escalation of management action occurs it is at a point where culture is already lower, making the organization more susceptible to compromising safety priorities. Safety culture declines further. This type of response is indicative of a feedback loop which is an important dynamic feature of the system. Business pressure causes management actions, those actions degrade safety culture, degraded culture reduces resistance to further actions. We invite comments and questions from our readers. * John Morecroft, Strategic Modelling and Business Dynamics (John Wiley & Sons, 2007) pp. 59-61. NRC SC poster, ADAMS ML120810464. 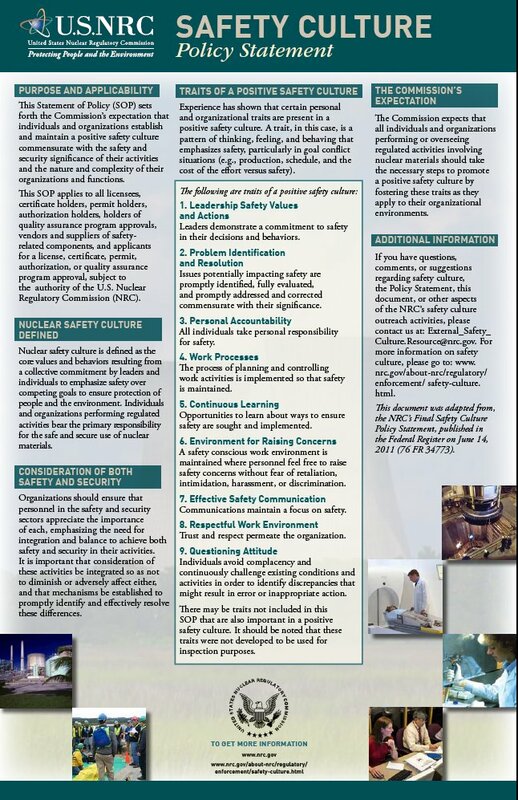 On March 17th we published a post on NRC safety culture (SC) related activities with individual licensees since the SC policy statement was issued in June, 2011. This post is an update, highlighting selected NRC actions from mid-March through June. Our earlier post mentioned Browns Ferry, Fort Calhoun and Palisades as plants where the NRC was undertaking SC related activities. It looks like none of those plants has resolved its SC issues. For Browns Ferry we reported that the NRC was reviewing the plant’s 2011 SC surveys. Turns out that was just the tip of the iceberg. A recent PI&R inspection report indicates that the plant’s SC problems have existed for years and are deep-rooted. Over time, Browns Ferry has reported SC issues including production and schedule taking priority over safety (2008), “struggling” with SC issues (2010) and a decline in SC (2011). All of this occurred in spite of multiple licensee interventions and corrective actions. The NRC’s current view is “Despite efforts to address SC issues at the site, the inspectors concluded that the lack of full confidence in the CAP has contributed to a decline in the SC since the last PI&R inspection.”* We don’t expect this one to go away anytime soon. Fort Calhoun management had said that SC deficiencies had contributed to problems in their CAP. During the quarter, they presented actions planned or taken to remediate their SC deficiencies. 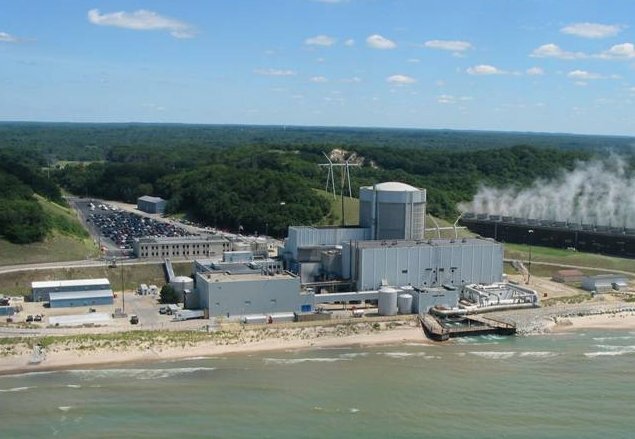 On June 11th, the NRC issued a Confirmatory Action Letter with a lengthy list of actions to be completed prior to plant restart. One item is “OPPD will conduct a third-party safety culture assessment . . . and implement actions to address the results . . . .”** It looks like Fort Calhoun is making acceptable progress on the SC front and we’d be surprised if SC ends up being an item that prevents restart. Last April we provided some additional information on Fort Calhoun here. In Palisades’ case, the NRC is asking for an extensive set of information on the actions being taken to improve SC at the site. The last item on the long list requests the latest SC assessment for Entergy’s corporate office. (This is not simply a fishing expedition. Entergy is in trouble at other nuclear sites for problems that also appear related to SC deficiencies.) After the information is provided and reviewed, the NRC “believe[s] that a public meeting on the safety culture assessment and your subsequent actions would be beneficial to ensure a full understanding by the NRC, your staff, and the public.”*** Back in January, we provided our perspective on Palisades here and here. New NRC SC activity occurred at Susquehanna as part of a supplemental inspection related to a White finding and a White performance indicator. The NRC conducted an “assessment of whether any safety culture component caused or significantly contributed to the white finding and PI.” The assessment was triggered by PPL’s report that SC issues may have contributed to the plant’s performance problems. The NRC inspectors reviewed documents and interviewed focus groups, individual managers and groups involved in plant assessments. They concluded “components of safety culture identified by PPL did not contribute to the White PI or finding, and that the recently implemented corrective actions appear to being well received by the work force.”**** We report this item because it illustrates the NRC’s willingness and ability to conduct its own SC assessments where the agency believes they are warranted. 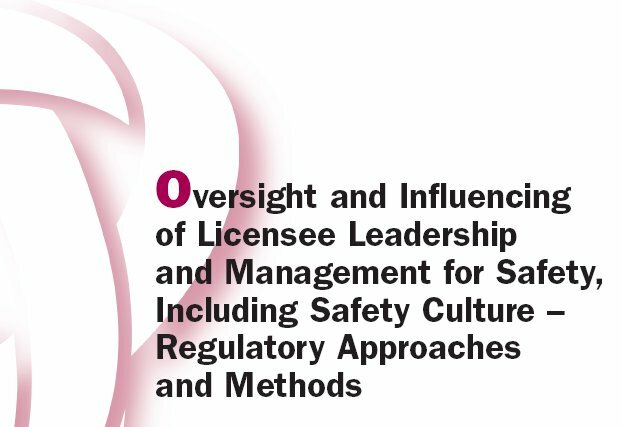 Our March post concluded: “It’s pretty clear the NRC is turning the screw on licensee safety culture effectiveness, even if it’s not officially “regulating” safety culture.” That still appears to be the case. * V.M. McCree (NRC) to J.W. Shea (TVA), Browns Ferry Nuclear Plant - NRC Problem Identification and Resolution Inspection Report 05000259/2012007, 05000260/2012007 and 05000296/2012007 and Exercise of Enforcement Discretion (May 28, 2012) ADAMS ML12150A219. ** E.E. Collins (NRC) to D.J. Bannister (OPPD), Confirmatory Action Letter – Fort Calhoun Station (June 11, 2012) ADAMS ML12163A287. *** G.L. Shear (NRC) to A. Vitale (Entergy), Request for Information on SC Issues at Palisades Nuclear Plant (June 26, 2012) ADAMS ML12179A155. **** D.J. Roberts (NRC) to T.S. Rausch (PPL Susquehanna), Susquehanna Steam Electric Station – Assessment Follow-Up Letter and Interim NRC 95002 Supplemental Inspection Report 05000387/2012008 (May 7, 2012) ADAMS ML12125A374.